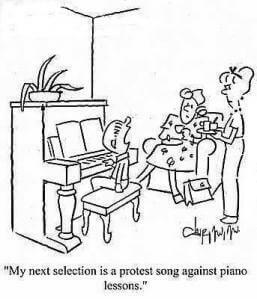 How Parents Can Support Piano Teachers To Make Lessons More Interesting? Did you know that many successful musicians and pianists regard their parents’ influence and inspiration as the most significant factor in contributing to their own interest and career? The thing that you need to know is that it doesn’t matter if your child decides to pursue music as his/her career. What’s important for them is to see your efforts in supporting them along their music journey. This will definitely make them feel that life is truly fulfilling. So how can you as a parent, support both your child and their piano teacher to make lessons more interesting and fruitful? 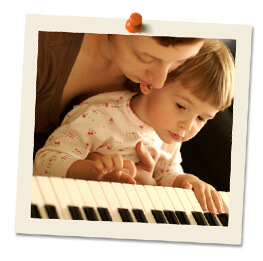 The first and most important step is you have to become involved with your child’s piano lesson. This also means discussing with your child’s teacher on how active you should be in your child’s learning process. You should plan with the teacher a schedule for your child’s practices and supervise these sessions. Aside from that, you should communicate often with the teacher about your child’s progress and what you can do to aid in their learning. If possible, set goals for them to achieve too. So besides being involved in your child’s learning process, the next step is just as important too. It involves encouraging your child as much as possible throughout their learning journey. Always remember to praise them for the effort they put in, even if they get frustrated and are unable to play the tune accurately. It is also crucial to acknowledge their every accomplishment. This can be done by rewarding them with a sumptuous home cooked meal. Also, try encouraging your child to perform for family and friends in a relaxed setting. Remember to avoid negative criticism as this could deter them even further from learning. The third step would be to make a serious commitment. Before making such a commitment, you have to first believe in the importance of the lessons. The way you view piano lessons for your child should be similar to sending your child to school. If you do not allow your child to drop out from school, then you shouldn’t waiver in your decision to them learning piano. Apart from not allowing them to quit, you should also allocate frequent practice sessions for your child. Ensure that when your child is practicing, the environment is free from any distractions. Finally, the last step is not to give up no matter what. Even if your child isn’t prepared for the lesson, don’t cancel it, allow the lesson to continue taking place. If you realise that your child’s interest in piano is wearing off, talk to them to find out what the problem is. If you are still unable to resolve the issue, consult your child’s teacher and work together with him/her. Communication with the teacher is also essential in your child’s learning, so ensure that there is a good relationship between both of you. Always remember that parental support is vital in everything your child decides to do. By having a positive interaction with them while being firm about commitment at the same time, your child’s piano lessons will eventually be a fruitful experience for everyone.